There are a lot of references both informal and formal, that mention using Valerian root may cause a “high” in the user when supplemented in large doses. These references are based on the mechanism of action of Valerian root, and how it acts on the Gamma-Aminobutyric acid (GABA) in the Central Nervous System, which is a pathway that is shared by many psychotropic drugs such and alcohol. Some user reviews report that Valerian root could cause a euphoric mood when administered in high doses. On the other hand, using Valerian in order to get “high” is not advisable since high amounts could lead to the development of unwanted effects such as inhibition of motor control or loss of control. Lower doses of Valerian roots are intended to improve sleep and promote relaxation. Valerian has been widely used for its ability to promote sedation and relaxation. It has been used for many years to relieve insomnia primary and also anxiety and nervousness. There are more than 120 chemical components found in Valerian and even though it is a very complex herb, it does not cause any unwanted effects if used moderately. It can cause calmness and does not cause over-sedation and addictive effects. It is a very effective treatment for insomnia as it contains isovaleric acid and valepotriates. Two double-blind studies suggest that valerian extract can significantly decrease the time it takes for someone to fall asleep and does not change the normal stages of sleep. Europeans have used Valerian as an antispasmodic, especially for abdominal cramps secondary to nervousness, menstrual agitation, and uterine cramps. It may also benefit those suffering from rheumatic pain, migraine, and dysmenorrhea. It can also be applied locally to treat muscle tensions and cramps. Valerian extract can also be used as a mild tranquilizer for individuals suffering from emotional stress. It is sometimes used as an alternative for benzodiazepines and antidepressants, as well as a muscle relaxant to treat pain. Despite its calming effects, valerian does not produce hangover effects and does not impair a person’s ability to drive. Gamma-Aminobutyric acid (GABA) is not just an amino acid, but is also the primary inhibitory neurotransmitter of the Central Nervous System. This means that it could reduce stress hormones. GABA also influences the activity of Serotonin, which is a neurotransmitter that functions to enhance mood. Therefore, the higher the amounts of GABA in your brain, the more calm you shall be. However, high amounts of GABA will cause some unwanted effects related to over-sedation. The ability of Valerian to produce sleep inducing and calming effects are connected to the effects of Gamma-Aminobutyric acid (GABA). GABA receptors is the primary area of your brain that is stimulated following the consumption of alcohol. Alcohol has direct impact over certain GABA receptors, which causes a person to experience minimal stress and tension. On the other hand, large amounts can cause severe side effects such as loss of inhibitions, loss of motor skills, and significant depression of the brain. Getting “high” off of Valerian partially because it acts on the GABA inside the brain and stimulates its production and release. This is the reason why the intake of Valerian could decrease tension and causes relaxation, as well as promote mild euphoria. As a recreational drug, numerous users claim that taking high amounts of Valerian could dramatically produce pronounced effects. This hypothesis urged many individuals to experiment by administering high amounts to experience their desired results. On the one hand, the value of these claims are not only very limited, but are extremely doubtful in nature. From our own studies on TrackMyStack not one user has found that it has gotten them “high”. Throughout the past, the ability of Valerian root has only been known for relaxing and calming the body in a subtle way– reports of a high havent really ever surfaced even at high doses. 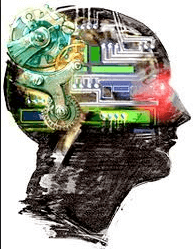 What are the side effects of taking high amounts of Valerian? Evidence suggests that taking high amounts of Valerian is likely safe, but can produce some mild, but not necessarily unpleasant, side effects. Some users report to have hangover-like symptoms the day after taking high doses. The usual report generally states severe headaches. A case study conducted last 1995 discovered that when a woman took a dose of 20 grams of Valerian, she experienced fatigue, abdominal cramps, chest tightness, and light-headedness. However, her symptoms were resolved after a 24 hours with the help of activated charcoal treatments. But this does not mean that extremely harmful side effects could not happen. This may be particularly relevant when taking Valerian in combination with alcohol, illegal or prescribed medication, and other supplements. Sleep-Qik is a product that contains cyproheptadine, hyoscine, and Valerian. The major symptoms associated with the use of this product include anticholinergic poisoning and depression of the central nervous system. There are numerous people being hospitalized following the intake of this product. These symptoms can affect both the central nervous system and the peripheral nervous system. These could lead to unwanted reactions such as tremor, fever, urinary incontinence, impaired mental status, and myoclonic jerking. Even though there were no permanent injuries in these cases, patients were observed for liver damage. Valerian can contain valepotriates, if the measurements is sufficiently high, can harm the liver. This danger might be more prominent when utilized with liquor or different substances that require processing by the liver. However, no such cases related to liver issues have been reported. Does it cause any withdrawal symptoms? There is 1 recorded instance of conceivable withdrawal side effects because of Valerian as of today. A 58-year-old man had been taking Valerian root every day for a long time in doses differing somewhere around 2 grams and 10 grams. These amounts are much higher than the suggested day by day measurements. After surgery, he experienced rapid pulse and wooziness. The relationship between his side effects and Valerian withdrawal were however to some degree uncertain. The noble man being referred to, was at the time, on various medicines. The relationship between Valerian withdrawal and his side effects has, on account of the numerous prescriptions included, been said to be simply inconclusive. Does Valerian cause a person to get “high”? There is limited if any, substantive proof that Valerian taken as a recreational drug has noteworthy impact. Reports on TrackMyStack about the supplement state much the same information, that it is good for sleep, just like Melatonin. Valerian with different substances can bring about severe side effects that can lead to hospitalization. 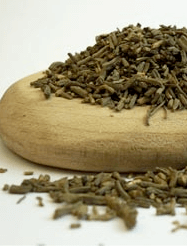 There is dependably the likelihood that an individual administering different medications with this herb would discover that high dosages of Valerian physically harmful and potentially perilous. Valerian Root has been approved for use as a dietary supplement in most countries worldwide. The Commission E, which is the administrative office for herbs in Germany added Valerian to their group list. Generally, Valerian is known to have modest impact in producing a general feeling of relaxation. No substantive research exists, anecdotal or not that described this herb being useful in getting high. The evidence states that Valerian administered as a recreational drug results in no measurable psychedelic experience. 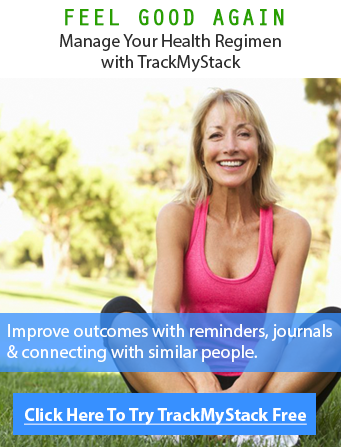 Additionally you can see how and what Valerian is actually being used for by patients of TrackMyStack.